Obviously, yesterday was all about the iPad. Actually, today is too. There have been thousands of stories already written about the device (including something like two dozen on TechCrunch alone), but a few points seem to be completely overshadowed by the glow of the iPad itself. Let’s revisit those. While only a few people really picked up on it, in my mind, the biggest news yesterday was not about the iPad itself, but rather about what powers it. Apple has created a new processor, the A4, a customized ARM A9 processor. Never mind that it appears to match the specs of the Snapdragon (the chip inside the Nexus One), the key point is that Apple is now in control of their processors. Is there really any doubt that these Apple -designed chips will end up in the next iterations of the iPhone from here on out? One of the things that makes Apple well, Apple, is the tight integration they weave between their hardware and software. That’s because, for the most part, they’re absolutely in charge of both unlike many other companies that do either one or the other. But for chips, Apple has still had to rely on outside parties to provide those. And in most cases, they’re the same chips that everyone else is using — Intel (in the Macs) or Samsung-built ARM chips (in the iPhone). There’s a reason Steve Jobs and Apple VP of Hardware Engineering, Bob Mansfield, were touting these new chips and their built-in GPU and power management systems yesterday during the keynote. With the A4, Apple really is in charge of the whole system. And when you consider a key quote from Jobs yesterday, “Apple is a mobile devices company,” it’s not hard to imagine that Apple hopes to create its own chips for all of its products one day — including the Macs. The 2008 acquisition of P.A. Semi has allowed them to do this. And just two years later, they’re clearly taking advantage of it. This was the big revelation yesterday. 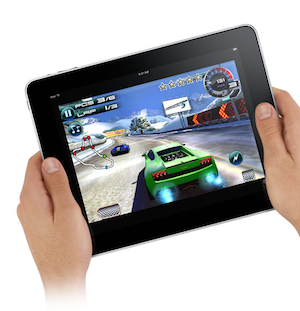 While it was somewhat surprising that the iPad runs on the iPhone OS rather than a separate (but similar) derivative, even more surprising may be that Apple announced the launch of the iPhone OS 3.2 SDK specifically for developers to get to work on making apps for the iPad. On one hand, it now makes complete sense why we haven’t seen an iPhone OS update in over three months — Apple was holding it back for the iPad launch. But on the other, why is iPhone OS 3.2 iPad-only right now? 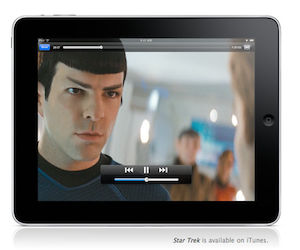 Wouldn’t you think a major product like the iPad would be worthy of an update to iPhone OS 4.0? Well, I have heard from a couple of sources that iPhone OS 4.0 is definitely coming along and soon. Usually, Apple shows off major iPhone SDK iterations in March so developers have some time to get used to the changes before the new OS rolls out alongside new iPhone hardware in the June or July timeframe. That would seem to be the case again. Since Apple wants to ship the first iPads in 60 days (the Wi-Fi version), iPhone OS 4.0 was likely out of the question. But I’d bet it will still be unveiled sometime in the next few months. And it seems likely that it will ship this summer for both the a new iPhone and the iPad. And with it, we could also see something that a lot of people were disappointed was missing from the iPad launch: the ability to run multiple applications at once. Since last summer, when I heard that Apple was definitely thinking about the problem, all I’ve heard is vague references to it being a priority to figure out. Now, with this new A4 processor (which again, I’d be shocked if we don’t see in the next iPhone), computing power clearly isn’t an issue. More importantly, power consumption shouldn’t be as big of an issue anymore either. Apple claims you’ll be able to get 10 hours of use from the iPad (on Wi-Fi) — and that’s with a huge screen sucking up much of the power. Just imagine what they think they can squeeze out of an iPhone with this chip (though yes, a much smaller battery). 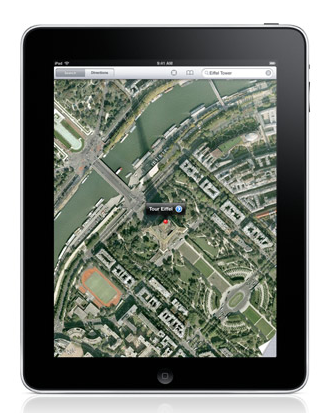 While Apple didn’t say much about Google during the event, Jobs did note that the Maps application on the iPad was equipped with the Google Maps backend. And despite the talk that Apple might be in discussions with Microsoft about making Bing the default search on the iPhone, Google remains the default on the iPad as well. He also demoed full YouTube integration on the device — including YouTube in HD. Google and Apple are definitely growing apart as they continue to compete, but with the iPad, at least for now, they seem cool. While the focus of the iPad event in terms of apps seemed to be on iPhone apps that would work on the iPad, it’s important to remember that developers are going to start developing apps specifically for the iPad. A few showed off their apps ported to the iPad for the event, but developers will also be able to create apps just for the iPad. This will be more important than a lot of people realize right now. One other thing that struck me as odd during the keynote yesterday was the point where Jobs pointed out the price analysts had predicted for the iPad. Normally, Apple doesn’t do things like this. In basketball, from time to time when players decide they want to showboat, they throw the ball against the backboard to pass it to themselves so they can score. Jobs’ move yesterday, in my eyes, was largely the same thing. As I laid out a few weeks ago, it seems pretty likely that it was Apple that leaked much of the information to The Wall Street Journal about the tablet device prior to its launch — including the bogus $1,000 price from “analysts.” Later, a former Apple employee corroborated this. Why would they do this? It’s simple. As I said at the time, if they plant the idea in peoples’ minds that a product will be $1,000, then release it for significantly cheaper, it’s a huge win for Apple. So when Jobs announced the entry-level iPad would be $499 yesterday, it was an absolute home run. Don’t get me wrong, it’s a masterstroke of manipulating the media, but it’s still a showboating move.